“The Vertical pull with chin cup is an easy adjunct to help control vertical dimension. The headgear is designed to be placed efficiently and tolerated well by the patients. adenta is an easy and knowledgeable company with which to work.” Dr. Harvey, Moorehead MN. 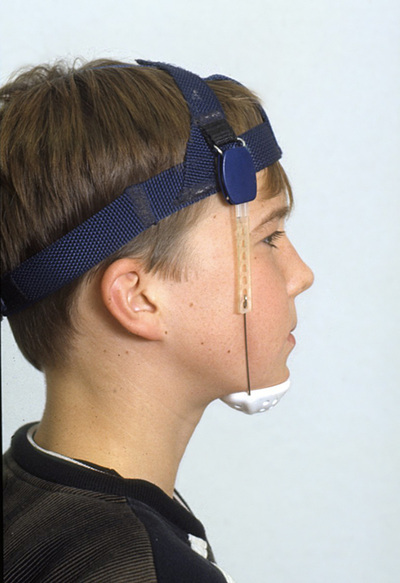 The Vertical Pull Headgear with Chin Cup has been designed specifically to correct vertical and a wide range of facial myofunctional problems, such as open bites. As soon as the therapy begins, the Vertical Pull Headgear with Chin Cup holds the mouth closed continuously, reducing interdental habits and tongue protrusion. In addition, the intrusive force on the molars is increased. This appliance can quickly change a mouth breathing habit to nose breathing. 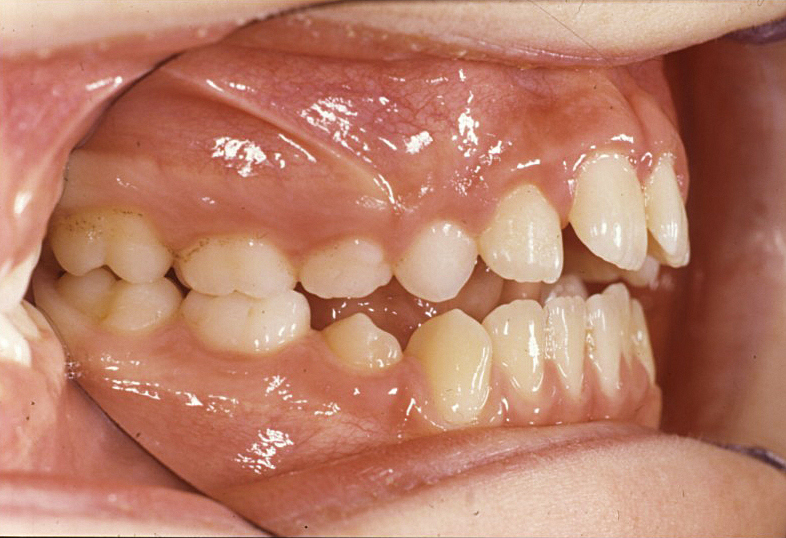 The Vertical Pull Headgear also supports the intrusion of the molars. 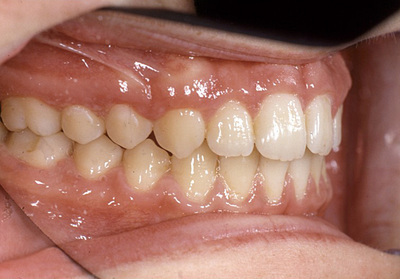 An intrusion of 1 mm in the molar region causes a closing of the frontal open bite by 2 mm. In this case, the Vertical Pull Headgear with Chin Cup provides excellent support with any treatment and helps removable or non-removable appliances perform to their peak. The Vertical Chin Cup is comfortable enough to be worn all day long. It can be washed as needed. In combination with the perfect fit of the headgear, it can produce more than 500 grams of closing force. The arms of the chin cup have been designed to avoid compression of the cheek area, and for optimum comfort, a cotton pad is provided. This ring-shaped cotton pad distributes pressure onto a surface five times larger than the regular pressure zone at the point of the chin. The so-created climatic zone and perforations in the chin cup keep the skin dry and prevent uncomfortable side effects, such as skin itching and bacterial infections.